Kindergarten and primary school’s popular PTA. 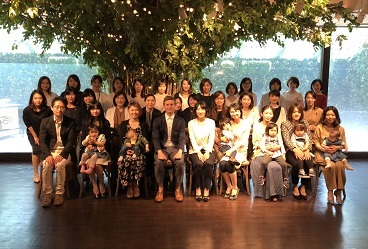 International Yamanote Kindergarten has it’s own PTA. 7 of the PTA members are called “PTA officers”. The PTA works to make the kindergarten life of the children the best it can possibly be. This is a carnival, put on entirely by the parents of the children at the kindergarten. Each classes parents think up a game, or activity stall for the children to enjoy. The whole kindergarten spends the day taking turns at each stall, enjoying all the different activities the parents have made. The PTA and all the parents work together to make a great day for everyone. This is a chance to strengthen the relationships between class parents over lunch. It also allows parents who are new to the kindergarten to view a DVD of past events and learn more details about the school. The parents can see the kinds of costumes the children wear at halloween and the decorations for different events. Most fathers don’t get a chance to meet or chat to the other fathers very often. We hold a special conference to give them a chance to get to know other fathers and enjoy some social time together. Fathers with children the same age can discuss the challenges they face and find support from others who have vastly different jobs and interests over some common ground. These include talks from famous individuals on current topics and events, discussions on interesting points, and recreational events like a bowling competition. These are all things that may be planned by the PTA. Plan and create classes and trainings. In august the parents are asked to assist in the crops thanksgiving day festival. 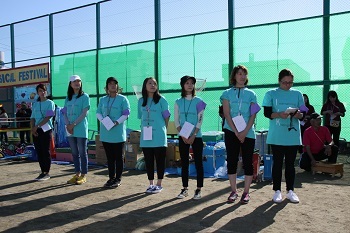 In September, the parents are called upon to help with the sports festival. From time to time, the assistance of the parents helps to make events smoother and more fun for the students. Each class provides a committee member and a liaison to organise the parents for events like the kids carnival. Committee member: Attends 3-4 committee meetings a year. They are the bridge between the PTA and class members. PR Officer: Collects information for and helps to produce the DEEPA publication. 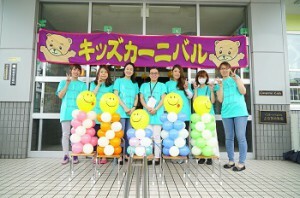 Kids Carnival leader: Each year between June and July the leader of this event takes control of the planning and preparations for the PTA side of the event. Other: Scheduling of class lunches and tea parties for the parents to get to know each other and become better friends.